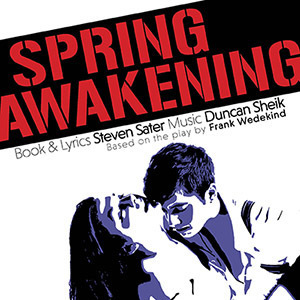 Book and lyrics by Steven Sater, music by Duncan Sheik. Based on the play by Frank Wedekind. Directed by Matt Hawkins. A musical explosion of adolescent angst and repressed sexuality. Winner of eight Tony Awards, including best musical (2007). Wednesday, April 18 – Saturday, April 21 at 7:30 p.m.
Saturday, April 21 and Sunday, April 22 at 2:30 p.m.